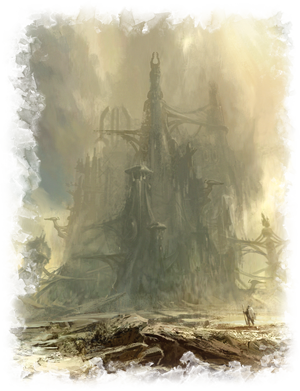 7 October 2015 | Dark Heresy 2nd Ed. The Imperium is the stronghold of light and knowledge in a galaxy of darkness. 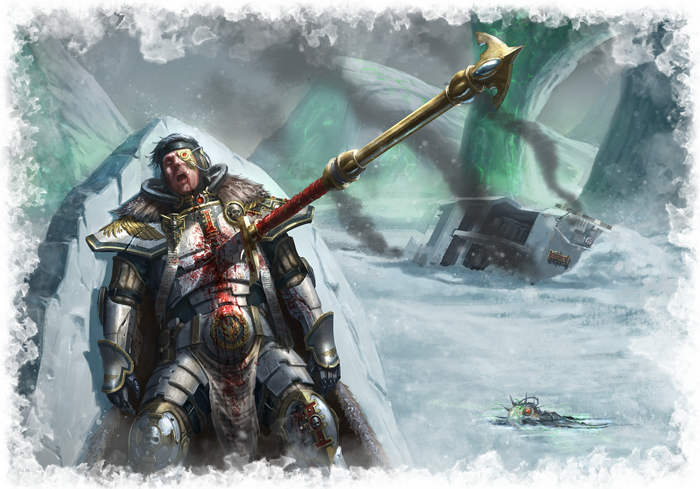 The Emperor protects Humanity from unimaginable threats that would assail it from every quadrant, and the Inquisition is his sword that scours every form of heresy from Mankind’s worlds. In Enemies Without, an upcoming supplement for Dark Heresy Second Edition, you take up the mantle of Ordo Xenos Acolytes, battling those evil threats that come from outside the Imperium—the cunning Eldar, the ravenous Tyranids, or the despicable Dark Eldar. Yet you must do more than simply cut down these enemies of the Emperor. To carry out your task with the utmost skill and prejudice, you must expand your knowledge to learn the secrets of these aliens. Today, writer Tim Cox explores the rules that he created for researching the xenos races and using your knowledge to fuel your investigations! 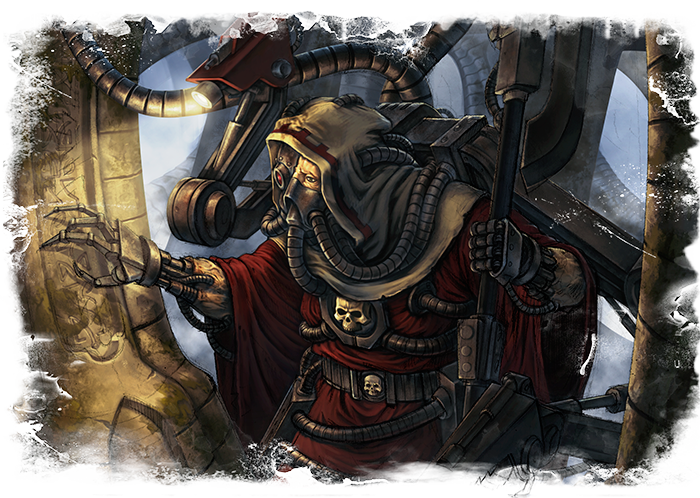 Knowledge of the xenos is dangerous and damning, but to combat the alien threat, Acolytes must often develop an understanding of its nature. For the Enemies Without supplement, the Emperor blessed me with the task of developing a system for handling intensive research, known as Explication. The Explication rules provide a framework for resolving research tasks and grant a mechanical benefit for the Acolytes in addition to any narrative effects of their new knowledge. In a way, Explications can be seen as a counterpart to the Inquest rules introduced in Enemies Within, but where Inquests are targeted investigations pursuing a particular heretic, Explications are research endeavours undertaken to understand a external threat in order to defeat it. An Explication may form a crucial part of an adventure and involve the entire warband, or it might be a project that a single Acolyte pursues during downtime between missions over an extended period. In the former case, the successful completion of the Explication might be necessary to find or defeat a dangerous enemy, while the latter type of Explication might be part of a personal goal or to lay down knowledge that benefits future servants of the Emperor. Mechanically, an Explication is a series of skill tests, most likely using Lore skills, with the Acolytes trying to achieve a target number of degrees of success. Although only a single Acolyte makes the skill tests to progress an Explication, the entire warband can contribute. Picture the “research montage” familiar in television and film, where investigators pore over dusty tomes, analyze tissue samples, and study fragments of alien devices. In addition to determining the base difficulty of these skill tests, an Explication’s complexity determines how frequently Acolytes can attempt skill tests. The smallest Explications might be completed in days, while the most complex could take years. In the latter case, of course, an Acolyte is probably working on the Explication outside his normal duties—although I can imagine a GM narrating years of research as the entire warband works to comprehend a truly grave and mysterious threat! Of course, Acolytes are often racing the chrono to stop a threat before it leads to catastrophe. When the warband doesn’t have the time necessary for a standard Explication, the Acolytes can push themselves to complete their work faster. Doing this is exhausting, causing the Acolytes involved to suffer Fatigue and face more difficult skill tests. As the Acolytes strive to reduce the time, they suffer Fatigue and face steeper penalties to their research tests. Intense research under such circumstances is risky, and the Acolytes could fail to make progress or even face crippling setbacks. Through this sacrifice, however, the characters might complete crucial research in weeks instead of months, or hours instead of days. Acolytes undertake Explications out of more than mere curiosity (which would be sinful in the eyes of many Imperium citizens). In addition to choosing a subject for the Explication, the characters must decide an objective. This objective should be as specific as possible, whether it’s developing specialised ammunition to destroy a xenos monstrosity or uncovering the dark secret that brought down a noble line. Whatever form it takes, the objective falls into one of several categories, such as eradication, aegis, or comprehension. The objective category determines what benefits the Acolytes can gain during and after the Explication. Though the greatest benefits arrive on completion of the Explication, the Acolytes don’t have to complete their Explication for it to pay off. As they make progress in their research, the characters reach key Breakthroughs. Although they may not have found the full information they seek, they’ve achieved some insight into their research subject. As well as potentially gaining a valuable clue, advancing the narrative, or just learning something interesting about the dark future, the Acolytes gain a temporary benefit. The form of this bonus varies based on the Explication’s objective—the Acolytes might receive a bonus to attack rolls, Evasion tests, or even Interaction skill tests that apply to the subject of the Explication. Acolytes who achieve the necessary degrees of success complete their Explication, although how long this takes depends on how well they do on each test. In addition to gaining knowledge about the targeted threat, the warband receives a permanent benefit when dealing with the subject of the Explication. The exact nature of this benefit is tailored to the particular Explication and the warband. It might grant the Acolytes additional weapon qualities, an increase in Armour, or a reduction in the cost of Lore skills related to that foe. The grandest Explications might provide even more impressive benefits for Acolytes with the persistence and skill to complete them. While developing the rules for Explications, one of my goals was to allow knowledgeable characters a chance to take the spotlight. Combat traditionally takes up a large amount of game time with battle-oriented characters displaying their abilities, but this is not usually true of more cerebral endeavours. By providing more structure, Explications can place a greater focus on the pursuit of knowledge, and hopefully make for a more satisfying and balanced experience for scholarly characters as well. However you incorporate Explications into your campaigns, I hope that you find the system useful as you seek to illuminate the dark secrets of the Askellon Sector! Evil attacks the Imperium from every side—within, without, and beyond. 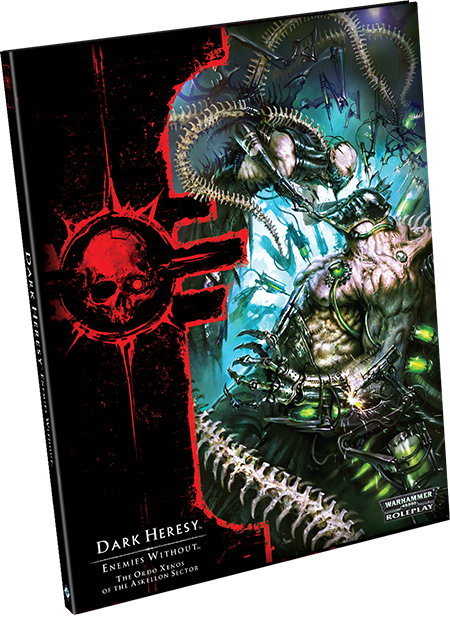 Embark on your Explications and join the Ordo Xenos with the Enemies Without supplement for Dark Heresy Second Edition! Pre-order your copy of Enemies Without at your local retailer today.